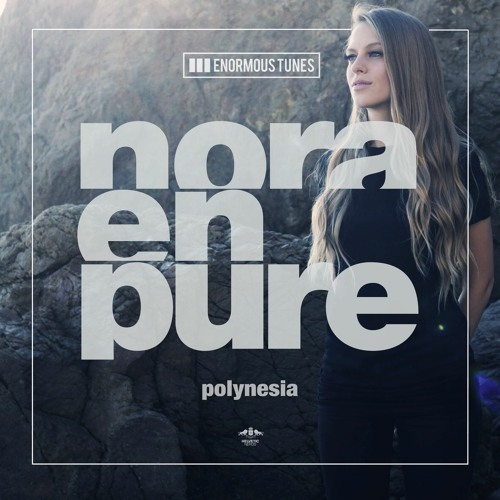 Melodic house queen, Nora En Pure, is back again with a new EP out on Enormous Tunes. All four tracks showcase her signature Helvetic Nerds sound– this is what we love about melodic deep house music. It’s sultry, it’s soothing, it’s everything that makes us happy. ‘Polynesia’ is so appropriately named for this song; it is piano heavy and casts a summer island feel. Nora never ceases to amaze us with the variety she comes up with in her own sound. There is an organic natural sound, with a wood flute melody mixed in the ambient background. The drum echo gives it strength and the song concludes with the happiest of vibes. ‘Harvesting’ has flutes and piano that play throughout and create an exotic setting. Accompanied by her tribal percussion, you will groove to this one for sure. It’s her own raw style that shines here and sets her apart from the mainstream. Towards the end, the piano and string instruments mesh together and bring everything back down with the soft pounding bass. ‘Riverwards Stream’ utilizes soft piano and angelic cries in this melodic house track. The deep house bass line propels the tune as the strings strum throughout the piece. The melody and classical instrumentation flow together like a river. Heavily inspired by her South African roots, ‘Lioness‘ begins with more tribal percussion that drop into her bass line groove. This track creates wanderlust as you listen and feel yourself roaming the savanna. Perhaps as a lioness yourself, you trek with your paws and observe the horizon with the wind blowing. A sound in the background reminiscent of an elephant cry can be heard throughout. Move over Toto, Africa may have a new instrumental anthem. Listen to the Queen’s latest stuff below!